Knack Polymers was incepted in 2007 and deals in manufacturing and exporting of PP, BOPP and HDPE woven bags and sacks. Knack Polymers has been legalized under Partnership Firm Registered under Indian Partnership Act 1932. Our company has managed to gain importance in both domestic and international market. We offer a wide range of our products that include pp woven bag, hdpe woven bags, BOPP Bags, Laminated Bag, Bulk Container Bags, Flexible Packaging Bag, Grain Bags, Gusseted Bags, Industrial Plastic Bag, Animal Feed Bag, BOPP Bags, BOPP Laminated Bag, Bulk Bags, Bulk Container Bags, Cement Bag, Fertilizer Bags, woven fabric and sacks. that are of high quality. We have been able to meet the requirements of Fertilizer, Chemical, Cement and Sugar industries across the globe. We focus on superior quality of packing material. We have our mentor Mr. Manibhai Patel who has an extensive industrial experience for many years. He has been encouraging throughout in our development process with his deep business insight. 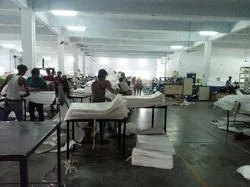 Manufacturing, Trading, Importer and Exporter of Bags Sacks. We consider our customer’s satisfaction to be the most important factor. We have been able to successfully meet the demands of all our clients word over. We offer the products that are of high quality and with a cost effective nature. We have earned the name of trust and goodwill of the large number of customers based in USA, UK Brazil, South Africa, Germany, France and Australia. We also offer our clients with easy modes of payment i.e. Money transfer through bank, Cash, Demand Draft. This makes it easy for them for a hassle free transaction of money. 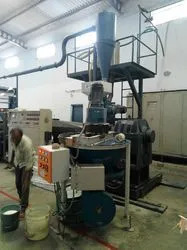 We adhere to strict quality parameters. Our quality inspector keeps a strict eye on the production process to meet the international standards. The result being that we have been accredited by ISO and CRISIL for our flawless products. We dedicate our success to our diligent team of professionals. We have a set of engineers and well-trained technicians who work in close co-ordination with all our clients that helps us to offer our clients with a flawless finished product. Our set of marketing executives promotes our range of products all over the country. Our team is trained regularly to make them highly competitive. Our company has earned a name for itself in the domestic as well as in international market. We have been able to achieve success due to the following reasons.